1. You’ll never get what you want if you don’t focus on it and work hard. 2. Clear out your things once in a while. No one needs that much jewellery; holding onto things you haven’t worn in years only clutters your space and mind now. 3. Stand up to bullies. They soon shut up. You tried ignoring them as a kid, that didn’t work and it doesn’t now either. 4. Procrastination only steals happiness from your future. Get stuff done now and feel successful for it. 5. If people don’t want to hear the truth, they shouldn’t ask for your opinion. 6. When you put your mind to something, you can do it. Use that feeling of being successful to inspire your future goals. 7. Some friends are out to use you. Recognise when you’re no longer needed and don’t put yourself in a position where you’re trying to hold onto something that’s not there anymore. You haven’t got time for that. You have plenty of loyal friends. 8. 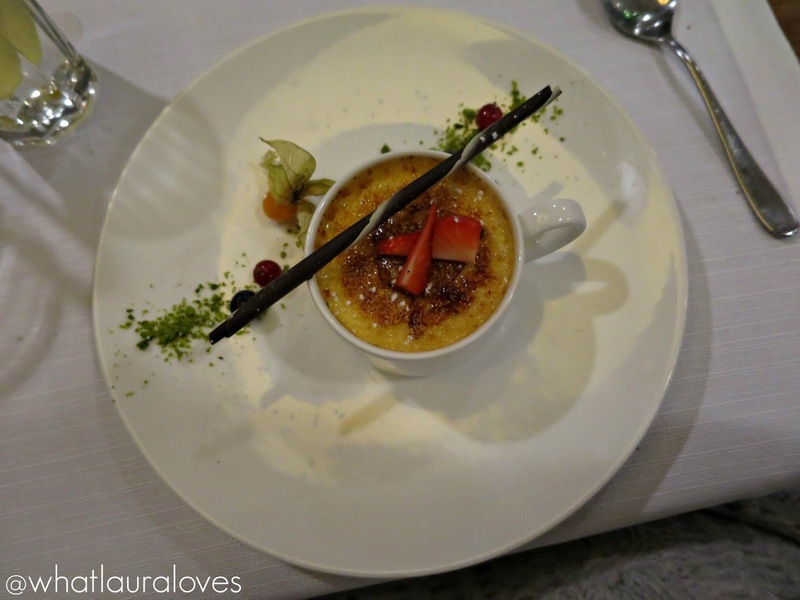 Crème Brûlée is a fabulous dessert. Never mistake it for creme caramel again, you’ve been missing out! 9. Some people will never like the way you look. That’s a problem with their eyes, not yours. 10. Stand up for yourself. You’re not a wallflower. 11. You’re a lot stronger and self assured than you think. The madness of some of this years events have proved that. 12. Its never too late to tell someone you miss them. 13. Always ensure your brows are on fleek. Your outer appearance will thank you for it. 14. When you’re feeling overwhelmed, write a list. Tidy your space and have a nap. Waking up is a fresh start. 15. Do what makes you truly happy. 2016 will be all about focusing and working very very hard for me! Love number 4. That's the most important in my opinion! You've also inspired me to have a wardrobe clean out tonight! Damn you have some straight up boss life lessons here I agree stand up to bullies. i love these! So very true and inspiring as well! happy 2016! Great post, a really inspiring read! I have learned a lot in 2015 too!